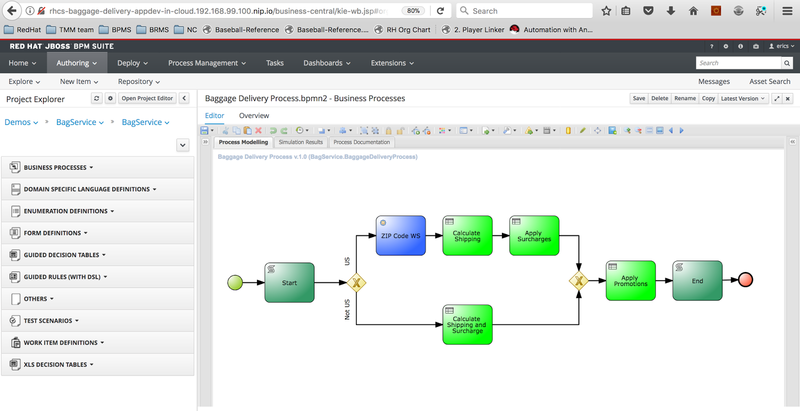 Back in March 2015 the JBoss BPM Baggage Delivery application demo project was launched based on work by a North American Solution Architect, Jason Milliron at Red Hat. It consisted of a local installation and demo instructions to run this on your own local machine. 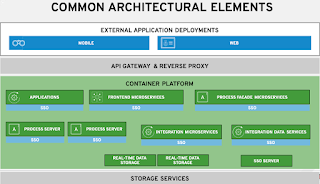 After languishing for over two years now, in dire need of updating, it's been brought forward in to the age of cloud, containers, and modernized application delivery. 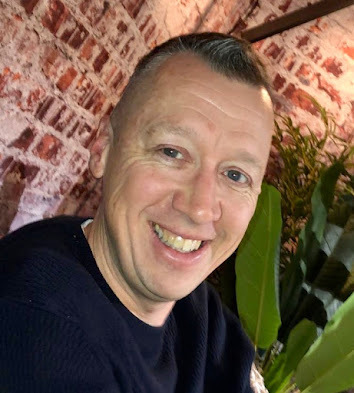 The local installation remains an option, but now it's enhanced with an installation on a private cloud on your laptop with the OpenShift Container Platform so why not push this baggage delivery example in to the clouds? 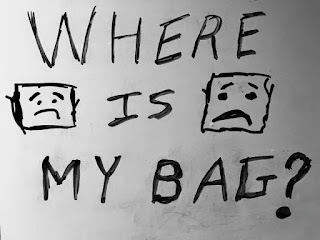 Updated existing JBoss Demo Central Baggage Delivery project. Create the AppDev in the Cloud project providing Baggage Delivery application delivered in a container on OpenShift Container Platform. Added link to Red Hat Demo Central for container deployment, listed as option two. 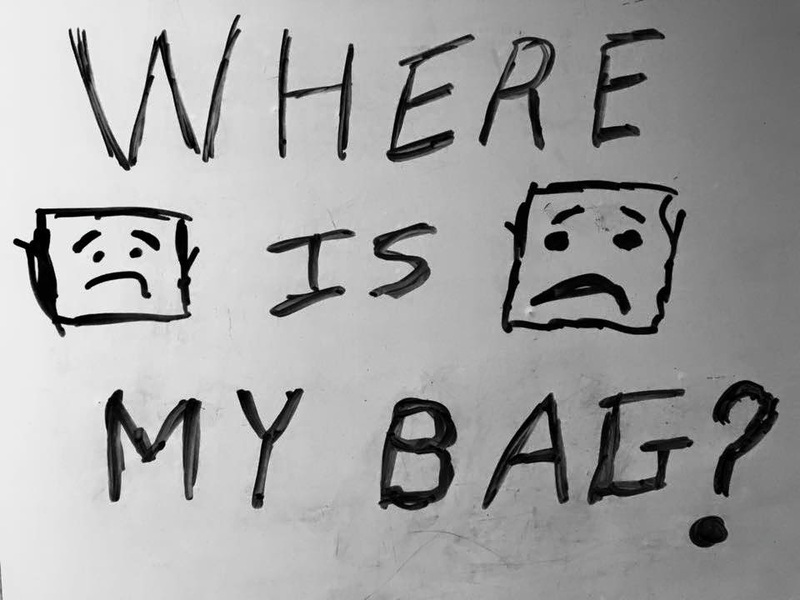 Let's take a closer look at how to get started with AppDev in the Cloud and the Baggage Delivery project. 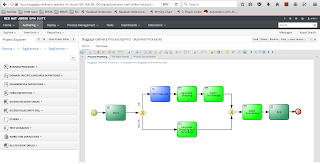 The application leverages JBoss BPM Suite to delivery a baggage delivery application in the Cloud based on leveraging the OpenShift Container Platform (OCP). Baggage delivery application in a container. The project simulates a traveler submitting their name, frequent flyer status, and shipping information in the short form of just your Country and zip code if you providing the USA as your home. The submission form provides textual help to give you zip codes that the lookup service in the process uses to discover your home state if country provides was the USA. Rules are used to determine if there is a surcharge (we made that up for you) to have your bags delivered to remote locations like Hawaii and Alaska. If you are not in the USA, then there is a path take to check the surcharge on the external spreadsheet based decision table, which you can verify in the spreadsheet provided. Your exact address is leveraged from the fact that you are a frequent flyer and if you have gold status or above you never have surcharges on baggage delivery. The following shows how easy the installation on your own private cloud can be. 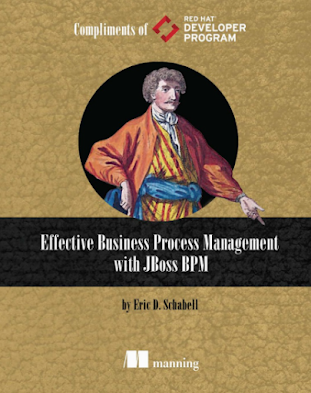 Download JBoss EAP & JBoss BPM Suite, add to installs directory (see installs/README). Baggage delivery in the cloud. For more AppDev in the Cloud based projects, see Red Hat Demo Central.